If you were outside Friday night, you got to witness something truly astonishing in the night sky. Skygazers got an amazing treat on Friday night, a spectacular sight that doesn’t come around all that often. It’s called the Strawberry Moon, the June full moon that is also called a minimoon because it’s the smallest it will be in 2017 (the opposite of a supermoon). The moon shone a deep red color in the sky, an awe-inspiring sight in the night sky. 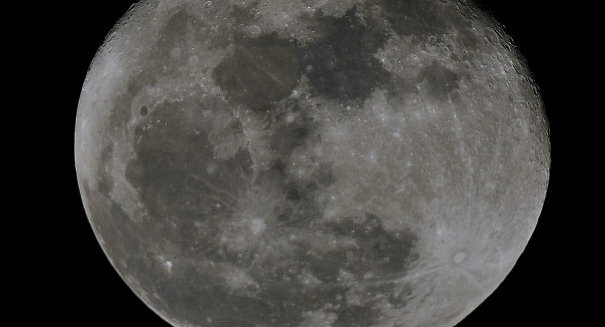 The moon reached its farthest point from Earth of the year on Thursday, when it was 252,526 miles away, although we didn’t get to glimpse it until about 14 hours later when it was a smidge closer – about 81 miles, to be exact. And in another treat for stargazers, Saturn is visible near the moon, and you should be able to see it glowing as a yellow-white “star” to the lower right of the moon.